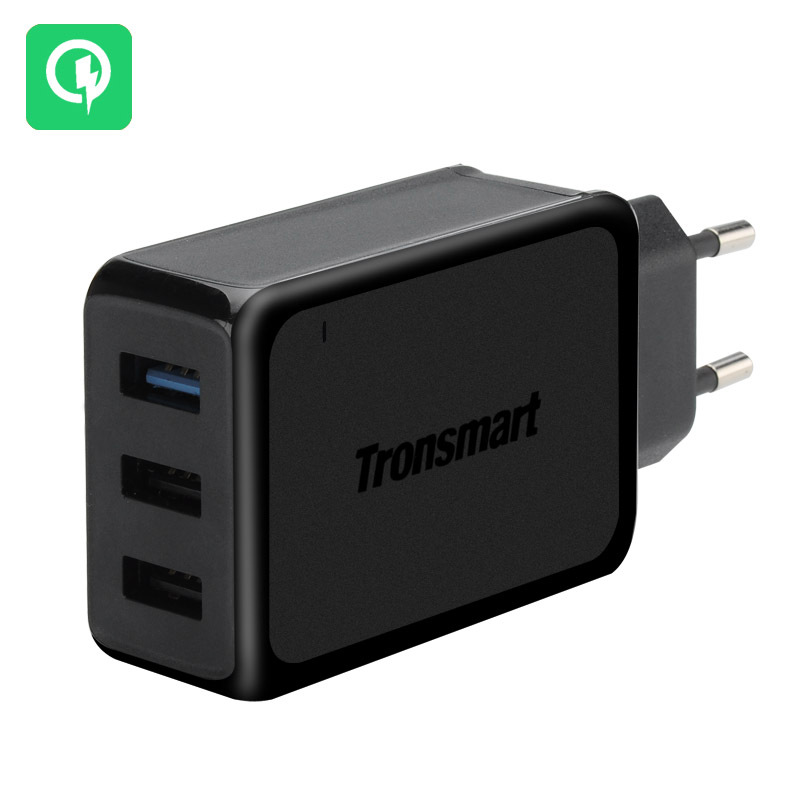 Successfully Added Tronsmart W3PTA Rapid Wall Charger - Quick Charge 3.0, VoltIQ, 3 x USB, EU Plug, Over-Current, Over-Charging Protection to your Shopping Cart. Charge 3 devices simultaneously with the industry leading charger that allows you 42 watts through 1 Quick charge 3.0 port and 2 VoltIQ technology ports. The Tronsmart W3PTA rapid wall charger is Qualcomm Quick Charge 3.0 certified and offers the best in charging accessories for any of your USB devices such as Smartphones, tablets PCs, music players, Bluetooth speakers and power banks. This incredible powerful wall charger is suitable for EU type sockets and with a huge 42 watts of power throughput lets you economize on power ports by charging 3 devices simultaneously all form this one little charger. The Tronsmart W3PTA rapid wall charger is DoE VI approved and guarantees safety when charging any of your electronics, this means you have Over-current, Over-charging and short-circuit protection.